Please check back in Spring 2019 to continue meeting the Summer Training team! Prior to joining Teach For America, Christina was a traditionally trained teacher. She was drawn to Teach For America for its commitment to DEI and focus on community partnership. Christina was a 2011 Chicago-Northwest Indiana Corps Member who taught Diverse Learning at Urban Prep. Wanting to expand her impact, Christina completed the Harvard Principal Program and became a Resident Principal in CPS. Joining TFA staff in 2015, Christina is proud to build a strong Summer Training program for our incoming Corps Members. In her free time she enjoys weightlifting, Starbucks coffee, brunching with friends, traveling, and getting lost in a good book. You can reach Christina on Slack or at Christina.fissori@teachforamerica.org. Steven was a 2015 St. Louis Corps Member where he taught 9th Grade ELA at Cleveland NJROTC High School. 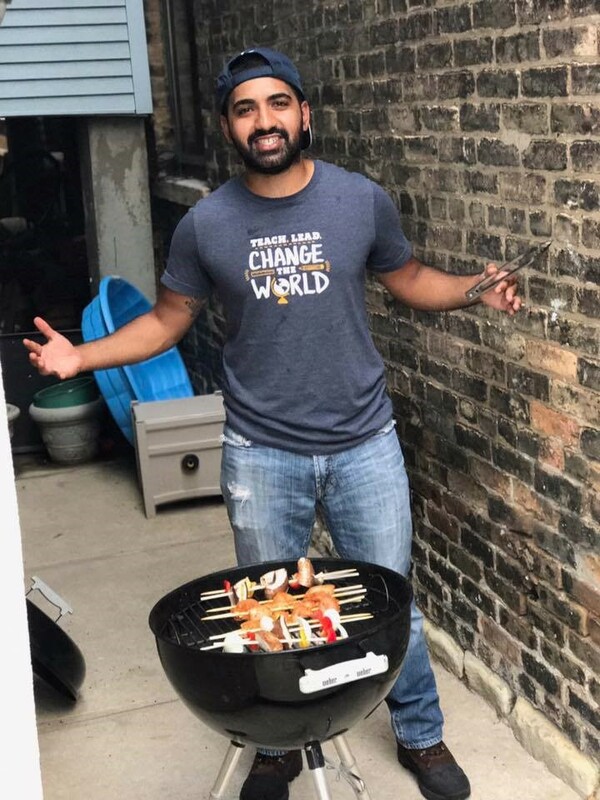 Originally from the Chicagoland area, Steven moved back to Chicago in June 2017 to work Summer Training as the Director of Residential Living. He joined TFA staff full-time in August 2017 and currently manages the AmeriCorps partnership and oversee the operations for Summer Training. In his free time he enjoys spending time outside, reading, watching soccer, and drinking beer at a local brewery. You reach Steven on Slack or at steven.grosso@teachforamerica.org. Marci was a 2011 Chicago-Northwest Indiana Corps Member where she taught High School Science at Chicago Tech Academy. Marci joined TFA staff in 2013 as an MLTD and currently sets vision & direction for and manages the first year corps experience team. In her free time Marci enjoys drinking coffee on a porch in nice weather, Cubs games, playing card games, hanging out with Beni, the cutest 1 year old in the world. You can reach Marci on Slack or at marci.dones@teachforamerica.org. The “behind-the-scenes” team, Operations makes sure that summer is running smoothly. They handle everything from summer schedules, making sure supplies are available, and tracking attendance for students and staff. Their goal is to empower the strength of the collective through excellence in operations. The Ops Team is comprised of 3 different roles. The Operations Director (Steven) oversees the team and makes sure that logistics are running smoothly at all of our school sites. The Director of School Logistics (Kate, Raul, Audrey) are the ones who own the logistics at individual school sites. They often function like an assistant principal to the School Leader in making sure students, staff, and Corps Members are set up to succeed. Finally, Operations Coordinators (Israel, Christian) are the backbone of the team. They provide support across school sites, help plan and run events, and assist wherever needed. Without them, this work wouldn’t be possible! Kate is a School Social Worker at Gary Comer College Prep on the South Side. 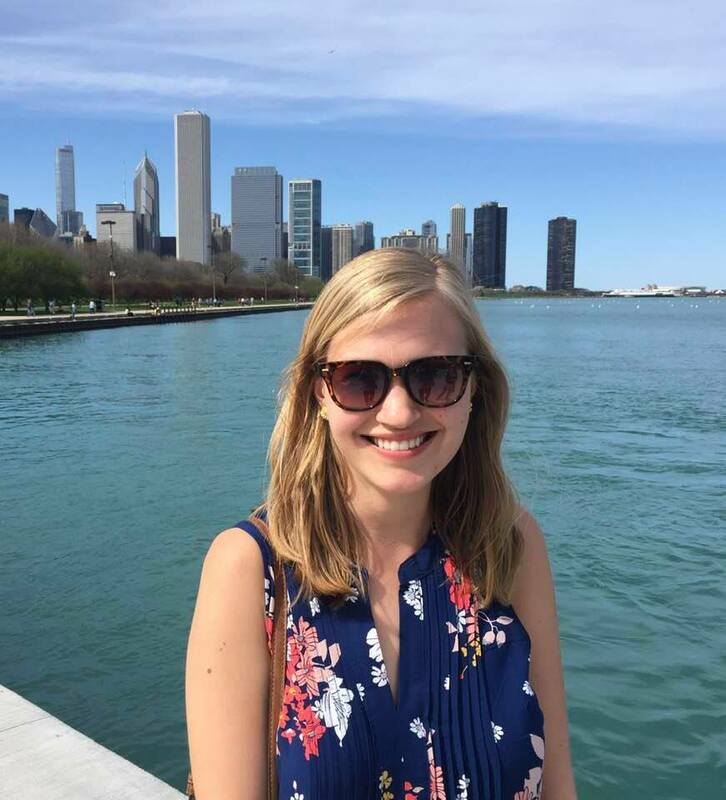 Before moving to Chicago, she was a 2013 CM in San Antonio, where she taught elementary and middle school social studies for three years. She absolutely loves Chicago, but will always be a Texan at heart. Kate will be a Director of School Logistics this summer. I was born and raised in Chicago and graduated from the Chicago Public Schools system . I studied business at the University of Illinois Urbana-Champaign and became a 2016 corps member (Chicago-Northwest Indiana). I have three years of teaching experience ranging from 2nd- 5th grade. I am a Master's candidate pursuing a degree in Educational Leadership. This summer, I will be a Director of School Logistics under the operations team. Hello! My name is Audrey (audge) Griffith and I am excited to be the director of school logistics! I am currently a second year Chicago corps member and special education teacher at Fairfield in Chicago Lawn neighborhood and will be case manager next year. I am excited to get a broader perspective on education in Chicago through this role! I work as a paraprofessional at Catalyst Maria Elementary school and I come from the south side of Chicago. I enjoy working with young children and seeing them grow academically. I will be an Operations Coordinator this summer. Hi! My name is Youngin Kim and I am excited to be one of your Director of School Logistics this summer. I am currently a second year Chicago corps member and 5th grade Math teacher at Horizon Science Academy, Southwest. I was born in Korea, grew up in Southern California, and have been living in Chicago for the past 6 years. Resource specialists are recent alumni of Teach For America who are beginning to hone their skills as coaches. This summer they will be modeling lessons and serve as a support during content time. They’re often great resources since they were in your shoes very recently. Resource Specialists have often noted that their work over the summer is also incredibly helpful in improving their own practices in their classroom. For the last two years, Angel has been a teacher at a neighborhood high school in Chicago. Previously, he worked as a researcher and policy wonk in education. He is passionate about youth development and providing students the supports they need to improve as a whole learner. Philip grew up and went to school in Ohio. He’s a small town boy at my heart but his interests have brought him to love the diversity and experience of a big city. He worked in non-profits with people with intellectual disabilities and with refugees before joining the Chi-NWI corps in 2017. He’s currently a middle school diverse learning teacher for math and during the summer he’s an instructional resource specialist. Jeanette was a 2016 Chicago Northwest Indiana Corps member who served in the North Lawndale neighborhood teaching special education in an elementary school. After completing the corps, she left elementary and started teaching high school special education at Simeon Career Academy. On the side, Jeanette works as an analyst, determining effectiveness of teacher preparation programs. In my free time, she likes to cook, hike and travel! My name is Sabre and it is pronounced like the tiger :) I am a 6th grade math and science teacher at Gary Lighthouse Upper in Gary, IN. I am from Michigan City in NWI which is known as "The Region". I am a 2017 Corp member from the NWI region. My name is Brian Chan and I am a 2017 Chicago corps member, soon to be alumni. I am originally from Brooklyn, New York City, but moved out to the midwest for my undergraduate education at DePauw University in Greencastle, Indiana. Since then, I've lived in Chicago and have been working as a Special Education teacher at Hamline Elementary for 1st, 2nd and 3rd grades. Execution Coaches coach Corps Members in their classroom during summer school. They aim to help Corp Members reflect on and strengthen their teaching skills. Corps Members will work with their Execution Coach during morning sessions to practice teaching techniques, model lessons, and prepare for teaching the next day. Execution Coaches are teachers throughout the year and this work helps hone their classroom work. Meghan is currently an 11th grade Diverse Learning teacher at Intrinsic Schools. She has spent the past four years in an English classroom and held other roles at school such as soccer coach, case manager, and grade level lead. She was a 2015 Chicago Northwest-Indiana corps member. Fun fact: She’s still at my placement school! Sarahwill be the elementary DL execution coach. She has been a DL teacher for 3 years at Piccolo school of Excellence on the West Side of Chicago. She was 2016 corps member in the Chicago-Northwest Indiana region. She’s originally from Minnesota and went to college at University of Wisconsin, Madison. Her major was called Rehabilitation Psych and Special Ed, and she fell in love with the education classes and decided to apply for TFA out of college. Teirra will be coming back for her 2nd year as an Execution Coach. She was born and raised on the Westside of Chicago. After finishing her undergrad at Howard in Washington DC, she returned home to be apart of the 2015 Corp of Chicago-NWI. My name is Courtlyn Boykin, and I am currently an algebra 1 teacher at Johnson College Prep. Before I moved to Chicago as a 2014 Corps Member, I lived and went to college in South Alabama. I attended Alabama State University, where I majored in criminal justice. I am a Chicago native, currently on my 3rd year teaching at Rowe Clark Math and Science Academy as a Learning Specialist. I teach one course of foundations in mathematics in a separate class setting and three co-taught geometry classes. I am a University of Kansas 2013 graduate and Dallas Fort-Worth 2013 corps member. My name is Tiffany Mensah and I am serving as an executive coach this summer! I was born and raised in San Jose, California, and just move to Chicago in October after living and teaching on the gorgeous shores of Oahu, Hawaii. I am a proud member of the TFA Hawaii 2016 team! Kathleen will be a Science Execution Coach this summer. This is Kathleen's 2nd summer working Institute. This past year she has served as a Learning Community Facilitator for 1st year corps members. Kathleen was a 2014 Chicago-NWI corps member and was assigned to teach at Peterson Elementary. She still teaches tK-8 engineering at Peterson and loves it! I am originally from Idaho and am a Chicago NWI 2014 alum. I taught for 4 years in my placement school on the south side of Chicago, then moved to Cheney, WA where I now teach behavioral special education. This summer, I'm excited to be serving as an execution coach for Early Childhood Education! CRT Coaches will lead the seminar spaces and support teachers in reflecting on and building the orientations of a strong culturally responsive practitioner. This involves reflecting and working with your own identity and thinking about how this plays out in the classroom. CRT Coaches will help you think about equitable practices in your classroom and what it looks like to create a space where students’ identities and lived experiences are valued. Finally, CRT Coaches will help you think about how to do this work in partnership with our families and communities. Stephanie taught preschool in Holmes County, MS, as a Mississippi Delta CM in 2009. She moved to Chicago to be part of TFA's early childhood pilot and spent 5 years coaching ECE CMs. She currently teach 30 amazing 2nd graders at Ravenswood Elementary, a CPS school on the north side of Chicago. Claire is currently a high school English teacher in the Philadelphia area. She was working as an instructional coach and high school administrator in the Southside of Chicago and Gary, Indiana from 2012-2018 before transitioning back to family on the east coast. She has served at TFA institutes in a variety of roles, and most recently served as a CRT Coach in Chicago last summer. I'm a 2009 Chicago TFA alum who has spent the last 10 years working to provide social services in schools and underserved communities. I have taught, coached corps members, and worked in a variety of mental health settings before receiving my Master of Social Work (MSW) from UC Berkeley in 2018. I am now integrating my experiences of working in schools with my passion for clinical social work as the founding school social worker at IDEA Montopolis College Prep in Austin, TX. My name is Adam Mogilevsky, I am 2015 ENC alum who has held many roles in ENC from coaching corps members to being a pedagogical lead/curriculum and instruction partner. This year I am excited to join the CRT coaching team! I am originally from Chicago and looking forward to building a community with everyone on the institute team! Chicago born and bred with 7 years of teaching in Urban Education. Master of appearing cool, calm, and collected. Purveyor of dope music, culturally inspired art, and snarky t-shirt. My name is Monique Smith. I am a 4th grade ELA teacher at Piccolo School of Excellence. I am from Chicago, and also did my corps experience here in 2014. This will be my 3rd summer as a CRT coach. Content coaches will lead your content time and help you learn about how to teach through the core practices. Content Coaches will lead your Content Session each day. It focuses on growing your pedagogical skills defined by culturally relevant pedagogy. This space is rigorous, it’s facilitated, and it uses a learning cycle that supports the growth of your teaching skills. You’ll watch models of excellence in teaching that help you understand the bar of excellent execution of lessons and then you’ll engage in frequent, very public practice of those skills and the distinct actions that correlate. Hi! My name is Mariah and I am a Science Content Coach this summer. I was born in the suburbs outside of Chicago but I call Chicago home. I am a 2015 TFA Chi-NWI corps member having taught science for both general education and special education in both the high school and middle school level. I spend time thinking about education policy at the local and state level, creating school cultures and climates that are responsive, adaptive, and individualistic to communities. I am a 2015 Special Education TFA Alum. I've spent the past four years teaching (mostly) math to diverse learners at Perspectives High School of Technology in the Auburn-Gresham community. I graduated from DePaul University, and served two years with City Year Chicago prior to finding TFA! Stefani Stallard is currently a 4th Grade teacher at Ravenswood Elementary School. She began her teacher career in East Harlem as a 2010 NYC Corps Member, and then spent a year volunteering and traveling in India and Central America. She then returned home to Chicago where she worked for TFA coaching new corps members for two years before returning to the classroom. In her free time she loves spending time with her dog and wife, practicing yoga, cooking, and spending time outside. Anthony Whaley is a Vice Principal with Uplift Education in Dallas, Tx. He was a 2014 TFA Oklahoma City corps member. Anthony has been an educator for six years. Anthony likes food, music, and reading. From the City that Never Sleeps to the Windy City. Colleen is a 5th year Special Education Teacher at Deneen School of Excellence. A zealous educator, she is determined to ensure all of her students have access to a more excellent life. When she's not dropping knowledge on her students, you can find her bumpin 90s Hip-Hop and R&B while watching "A Different World" or reading about her hero Shirley Chisholm. My name is Alexis Whaley. I am moving to Chicago from Dallas, TX with my husband. This summer I will be serving as a Content Coach for Elementary Math. I am a 2014-OKC alum. School Leaders oversee the entire school site, similar to how you think of a school Principal. Your School Leader will set the culture for your summer school site, lead the staff, and visit your classroom as well. School Leaders are alumni of Teach For America who are interested in becoming or already are School Leaders during the normal school year. I'm Maximilian Cole. I currently serve as a special education teacher at Manley Career Academy High School. I am from Chicago, IL, but went to school in Nashville, TN. And I am a 2013 Corps member. I am originally from Muscle Shoals, AL and attended college at Auburn University. I joined the corps ion 2013 as a member of the Chicago-Northwest Indiana region and taught 4th Grade in the UNO Charter School Network. I am currently the 11th Grade Algebra II and 12th Grade AP Physics teacher at Rowe-Clark Math & Science Academy in the Noble Network of Charter Schools. I am a TFA alum of 2007 (Chicago region) I moved back home to Chicago in 2007. Currently, I am the chair of the Department of English at Wendell Phillips Academy High School where I have been for the past three years. Previously, I have served as principal and assistant principal for Chicago Public School (elementary). I currently teach a 5th grade reading centers class at KIPP Bloom College Prep in Englewood. I live in Pilsen in Chicago. I was a 2007 Denver corps member.